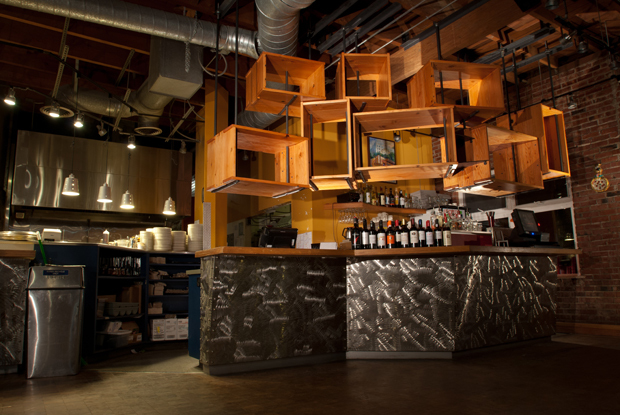 A neighborhood restaurant, La Fiamma has recently expanded to include a bar. 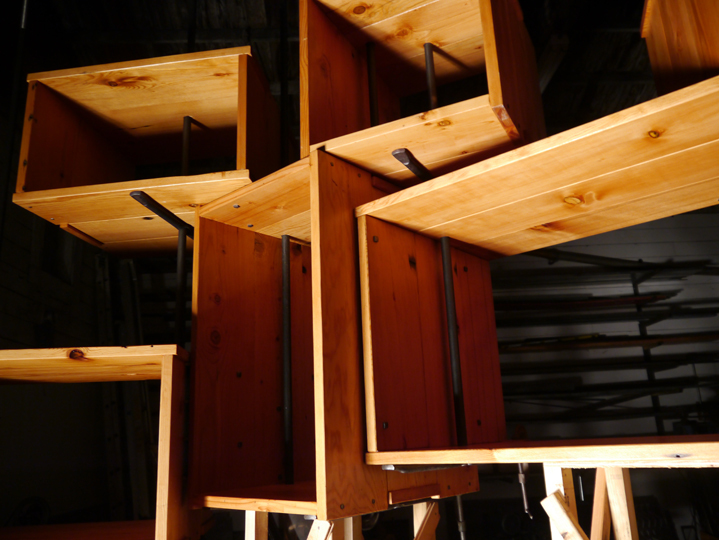 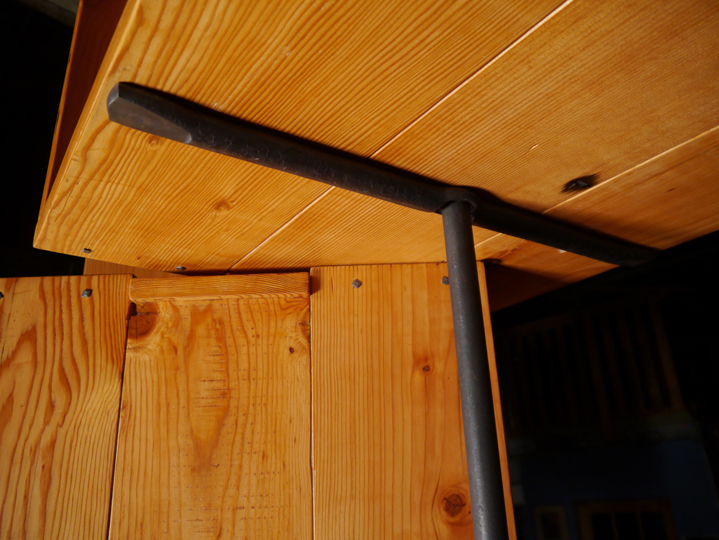 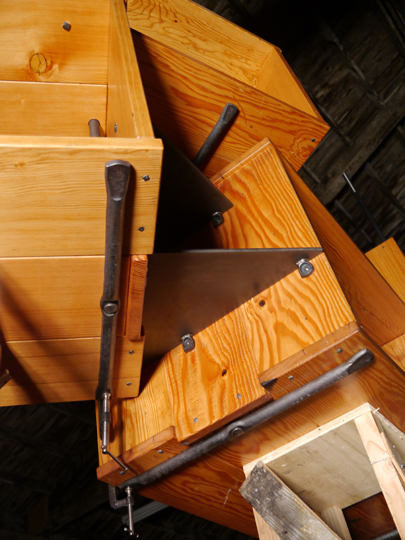 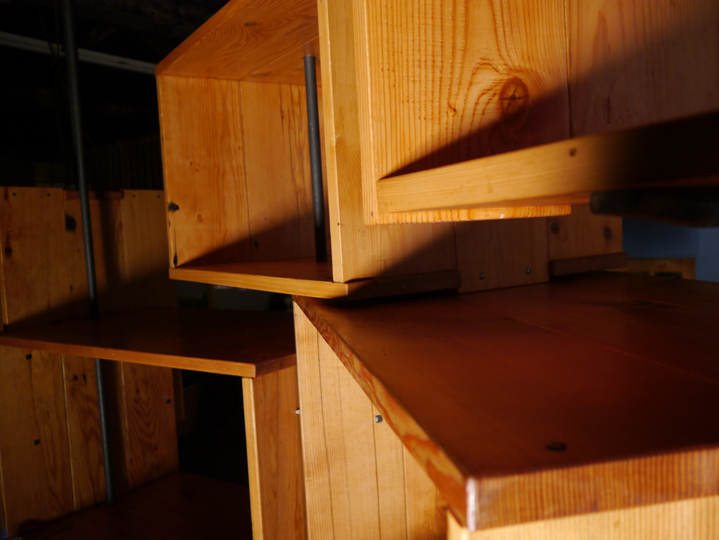 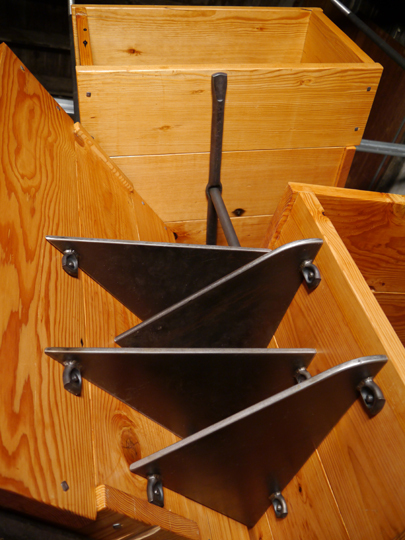 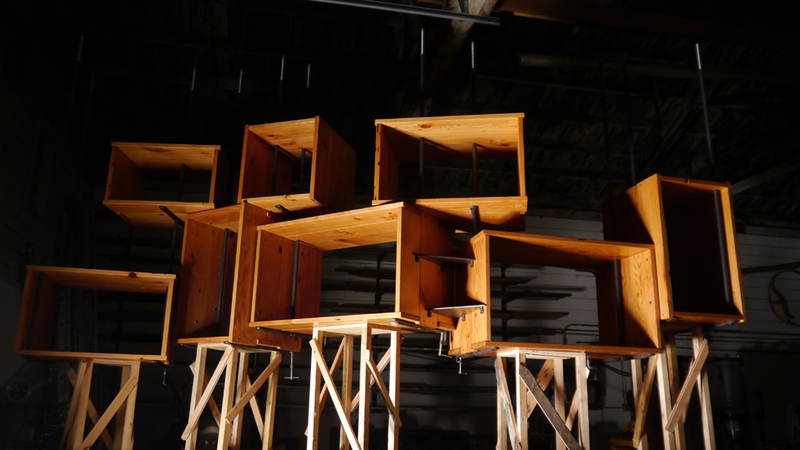 This unique storage solution will house various barrels of aging cocktails, bottles, glasses, etc… The boxes are constructed from reclaimed douglas fir, assembled with hand made nails and suspended with interesting forged steel supports. 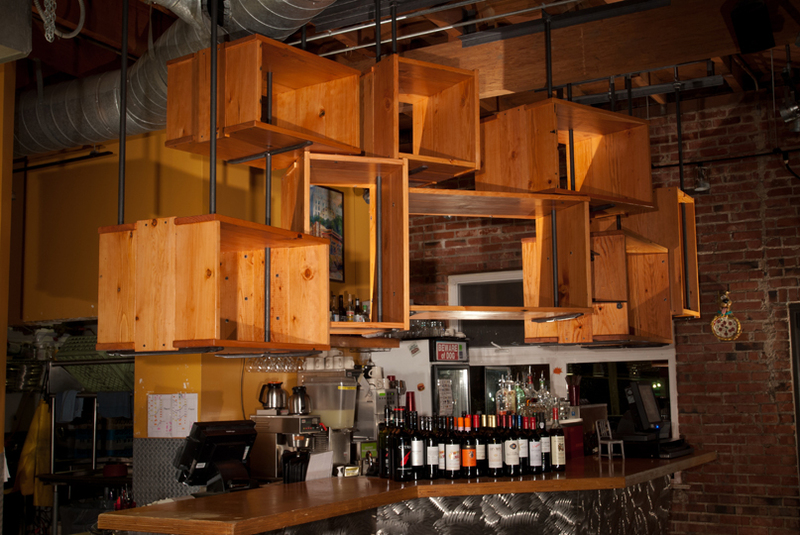 This minimal design treads the line between that of industrial crates and custom cabinetry.